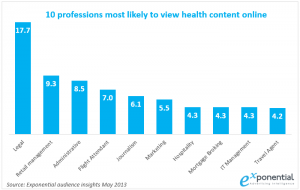 Earlier this month Exponential wrote an article celebrating the 65th birthday of the NHS. 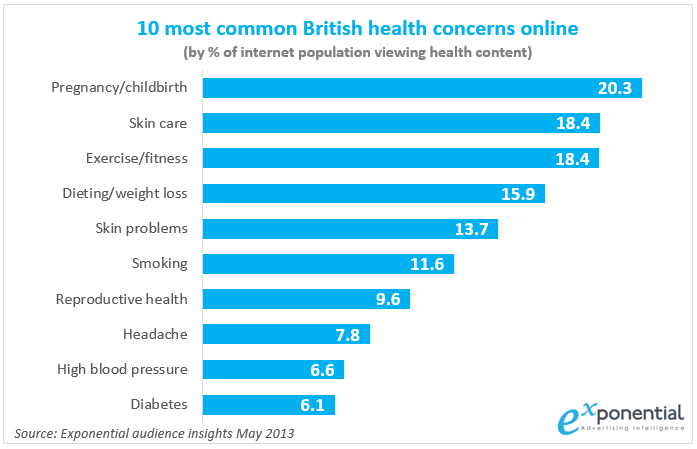 Exponential analysed online behaviour (anonymously) of over 1.8 million Britons during May 2013 and the results revealed that pregnancy, skin care and fitness are the most common health concerns for which Britons turn to the internet. 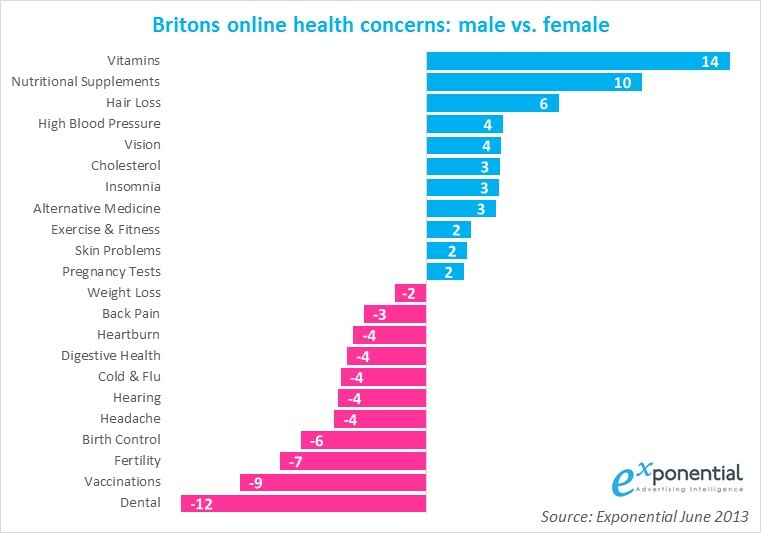 The results went on to highlight that the health concerns for men and women are very different with men being 14 times more likely than women to be interested in vitamins. 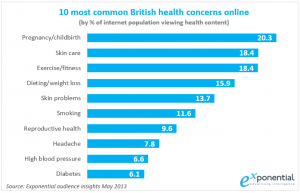 The results concluded that by looking at the way people actually behave online rather than what they may tell you can often challenge common-held assumptions and help advertisers to successfully target the right audience.